YAY! 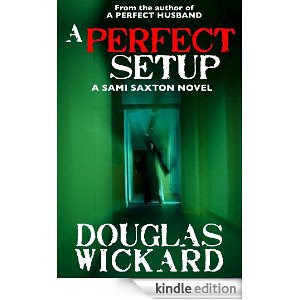 Right in time for the release of A PERFECT SETUP, here's an interview with author DOUGLAS WICKARD. You’ll have to forgive me for starting out with a softball question, but tell me: How good does it feel to have your new book out? It feels very good. This one has been a real rollercoaster for me, so to have it launched feels...well, good. Here’s another softball for you: For those who are not yet familiar with your writing (fix that folks!) what is your 100 word pitch for A Perfect Setup? A moment of weakness…an afternoon of passion…a brutal murder hits close to home…the explosive sequel to A PERFECT HUSBAND. For every author, writing is a mixed bag of emotions: it’s frustrating, cathartic, challenging, heady, joyous, and about 672 other things. At what points during the first draft writing process did you feel strong emotions (whether positive or negative)? Writing as Sami always brings up strong emotions. I think it’s one of the reason’s people identify with her so much. She’s real, flawed, courageous without knowing it and genuine. Her raw emotions arrive on the page, sometimes to her detriment. I wouldn’t want it any other way. Time for a loaded question now. Characters are like an author’s children; it can at times be difficult to be objective about them (at least for some people). How has Sami changed since we last saw her? What aspects of her personality evolved in this novel? Now it’s time for a completely UNoriginal question! Setting. New York City. I wonder if anyone has ever counted how many novels (not to mention short stories, plays, songs, poems, movies, TV shows, and so on) have been set there. It’s got to be in the thousands. So, why do you think NYC is such a popular setting for creative products? What is it about the city that makes it resonate with people? And do you think you could achieve a similar tone, a comparable mood, if you were to set your story in Boston or Seattle? Well, Sami is a New Yorker. I’m a New Yorker. I lived there for twenty years. I know the City, the cracks in the sidewalks, it’s my old stomping grounds. It’s the natural place for Sami to reside, particularly with her career in publishing, etc. It’s the right fit for her. My next book takes place in San Francisco. I feel cities have their own personality, setting, atmosphere…it lends to the ambiance of the novel. If I wrote Sami in another City it wouldn’t feel right for me. Unless of course, she decided to move, then, I guess I would have to follow her. How do you tap into the bad guys? In our last interview, the teaser you gave then for this new book was Trust No One. How do you get inside the heads of villains? Where do you get the inspiration for the bad guys? I feel we ALL have some dark swirling around in us, waiting to be tapped. It’s a question of how we choose to act out on it. I personally love writing about deviant minds, the psychological breakdown of a person. How did they get that way? But, I also want to make my bad guys understood. A dear friend of mine told me years ago to always make the killers likeable. So, I try to give a bit of back story so the audience has some compassion, some empathy. With Smitty, some readers had an absolute attraction to him. A follow-up question for the above. Is it ever a wee bit disturbing to discover where your imagination will take you when it travels to the dark side? No. I love it. I feel very safe with it. Trust it. Listen intently to it. I hope it never shuts up! They sort of appear, organically. My original name for Samantha (Sami) was Renee. But, when I was going through the final edit, I changed it to Sami. And, it stuck. No pressure, as you’ve just given birth to A Perfect Setup, but what is your next project (or current work in progress)? I plan on launching ENCOUNTER on Halloween. 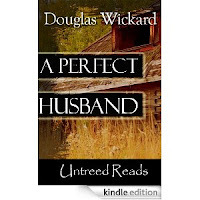 This was the novel I wrote right after A Perfect Husband dropped. But, with the success of Sami, my agent suggested I write the sequel. So, ENCOUNTER will finally see the light of day. 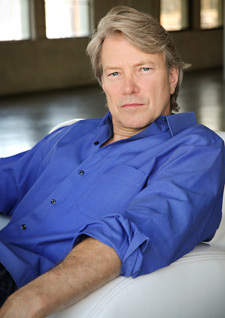 I’m introducing a male detective by the name of Dan Hammer. From South Carolina. Charleston. Possibly…another new series. When it comes to crime fiction, there’s always talk of means, motive and opportunity. In terms of means, what is your favourite method of, uh, disposing of someone. And what motives do you find most interesting to work with? Most compelling? Whatever the killer directs me to do. I have no boundaries when it comes to this. I do a lot of research. When I’m in that ‘zone’ there are no restrictions. I try to get inside the head of the perpetrator, feel what they feel and feed off their sick psyche. Sounds horrible, I know. The last question is a freebie, sort of... What is the one question you wish I had asked, but didn’t? Now go ahead and ask and answer that question. Another sequel for Sami? Yes. Sami will have a few more adventures. But, first I want to explore some stand-alone projects. My next project after I launch ENCOUNTER is DEVIL MAY CARE. I am still debating where I’m placing that one…I think Colorado. But, I’m not sure yet.